Silver Arrow Knits! : The Countdown Begins! This time tomorrow, I will have met the YARN HARLOT! I am getting all prepped, before I go to bed, I am going to charge my phone and pack my stuff. I already pulled out what I need for the trip. 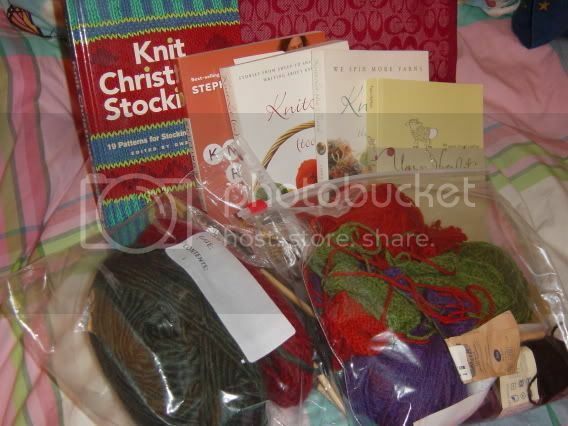 Yes, I do need two knitting projects and four of the Yarn Harlot's books. 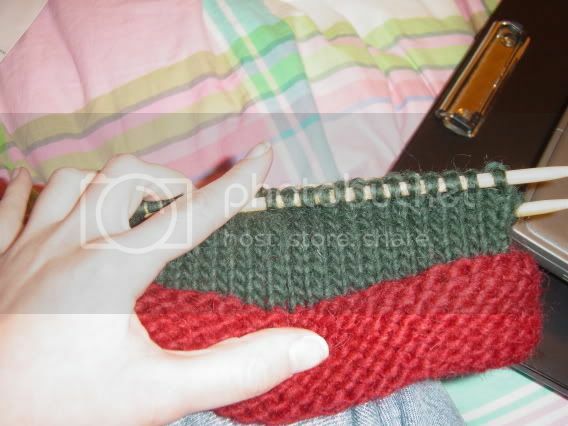 She will just sign the Knitting Rules! book, but I am bringing the others just in case. I might have dropped out of three Girl Scout troops (including my mom's), but I remember the motto: Be Prepared! I cannot even tell you how pumped I am about this trip. I am a little scared about the driving, but I will get a faboo reward: the YARN HARLOT!!! More news post-Yarn Harlot sighting! I'm so jealous!! Take plenty of pics and have a great time!